Medicine and Technology: Is Swine Flu No Longer a Serious Threat? 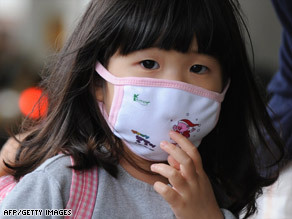 Is Swine Flu No Longer a Serious Threat? CNN has an interesting Q&A formatted article on swine flu. I was captured by the photo of a little Asian girl wearing a cute mask. The swine flu mania seems to have ended, but does this mean that swine flu isn't a serious threat anymore? People seem to easily underestimate how a pandemic could impact the world. The Spanish Flu of 1918 wiped out anywhere from 70 to 100 million people around the world. That was a true pandemic. Although we have effective antiviral therapies, many are questioning whether our supplies are adequate. If swine flu disappears over the summer, it could come back in the fall (during regular flu season) and do some serious damage. We must continue to be vigilant if we are to avoid such an outbreak of H1N1.